The Palm Beach is renowned worldwide for its beautiful palm trees, the swirling coastal breeze from the Atlantic, and the expansive beach. Nothing though quite prepares you for the magical, luxurious 5-star Four Seasons Resort Palm Beach. The Palm Beach is renowned worldwide for its beautiful palm trees, the swirling coastal breeze from the Atlantic, and the expansive beach. 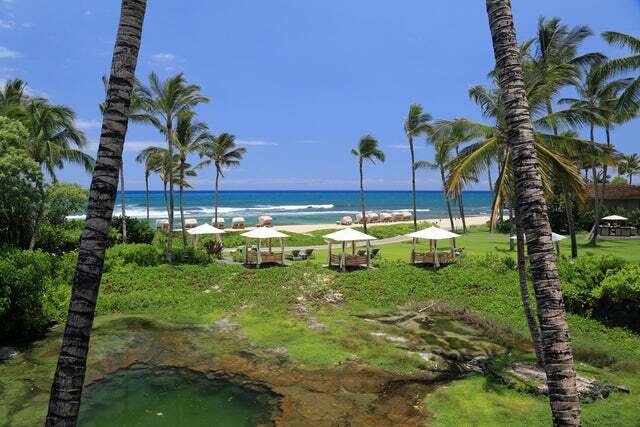 Nothing though quite prepares you for the magical, luxurious 5-star Four Seasons Resort Palm Beach. It is here that you get to immerse yourself in heavenly luxury and escape into the beauty of the tropics. Its most outstanding facility is the 11,000 square foot spa that takes your exotic massage, sauna, and steam rooms to a new high. It also has a whopping 210 guest rooms that are graduated in terms of comfort and view. The best rooms are obviously the suites that include the Deluxe Ocean Front 2-bedroomed Suite, Ocean Front 2-bedroomed Suite, Premiere Ocean View Suite, and Ocean Front suite. Of course there are the guest rooms that are equally as grand, but with smaller space. These include the limited view room, the garden view room, the partial ocean view room, the ocean view room and the premier ocean view room. The resort has 3 restaurants to choose from. These include; the Graze, a tropical poolside restaurant with great views of the Atlantic Ocean; the Atlantic Bar and Grill, renowned for tropical dishes; and Jove Kitchen and Bar, renowned for its Italian gourmet food. Among the facilities that you will get to enjoy at this great resort include the pool and the beach, 2 tennis courts, the 6000 square feet fitness center, among others. The Four Seasons Resort Palm Beach has come to be associated with water sports. It has all the facilities that you would require to enjoy sports such as jet skiing, surfing, sailing using a 14-foot catamaran, waterboarding, snorkeling, kayaking etc. Apart from watersports, you can run, ride or walk along the expansive beach as you take in the views. For those seeking to use the 24-hour business center within the resort, you can expect fully functional conferencing facilities such as internet, 24-hour multilingual concierge services, access to fitness clubs, sauna and showers, laundry services etc. This is a great family retreat, business conference, wedding venue and honeymoon destination. It is an all-round kind of establishment, but with a bias in luxury accommodation and services. Feel inspired? Contact us today and we will get you going.